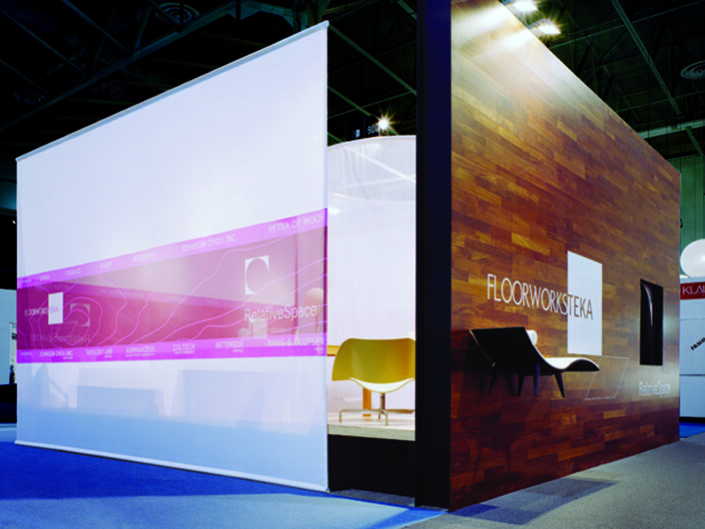 This Exhibition Stand was created for the 2002 Interior Design Show held annually in Toronto, Canada. 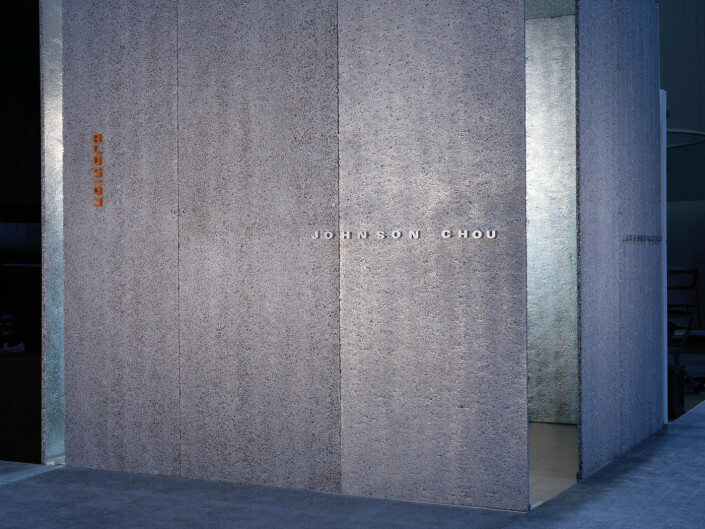 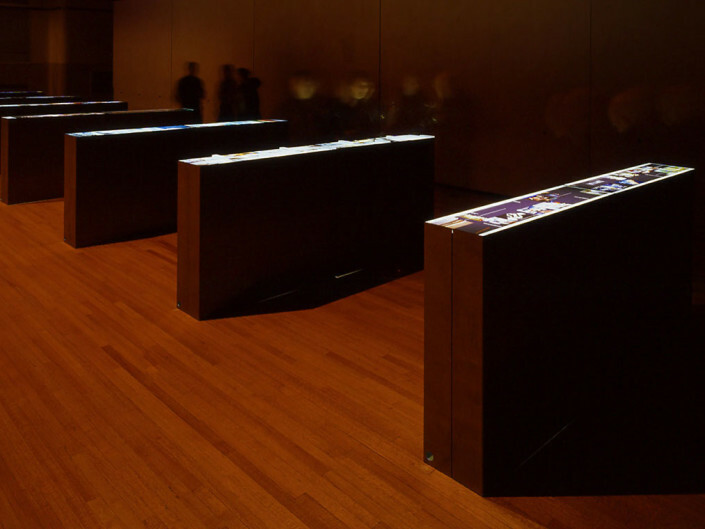 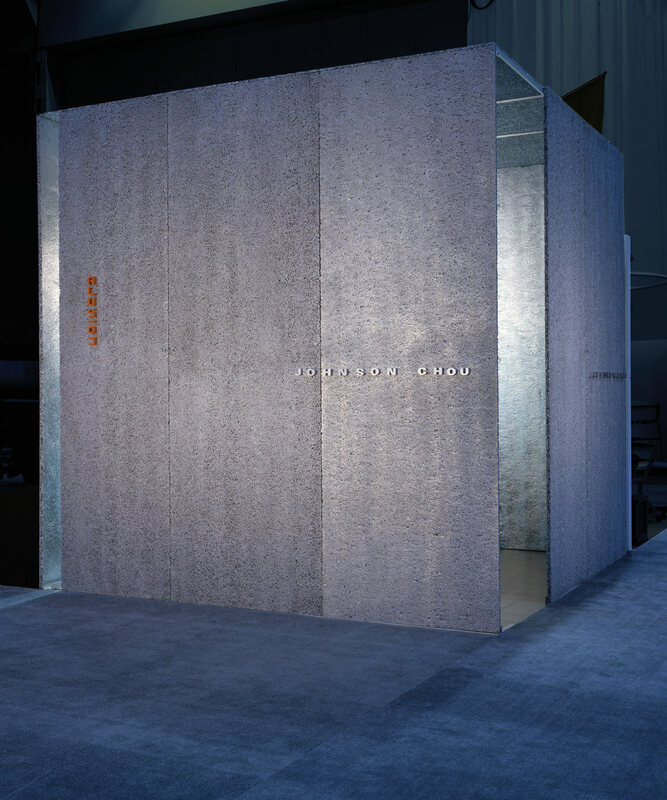 The 10m2 booth was intended to feature the architectural work of Johnson Chou Inc.
A 3m cube in form, the booth is designed to create a dark, intimate space to enclose a series of glowing lightboxes that display images of projects completed by the studio. 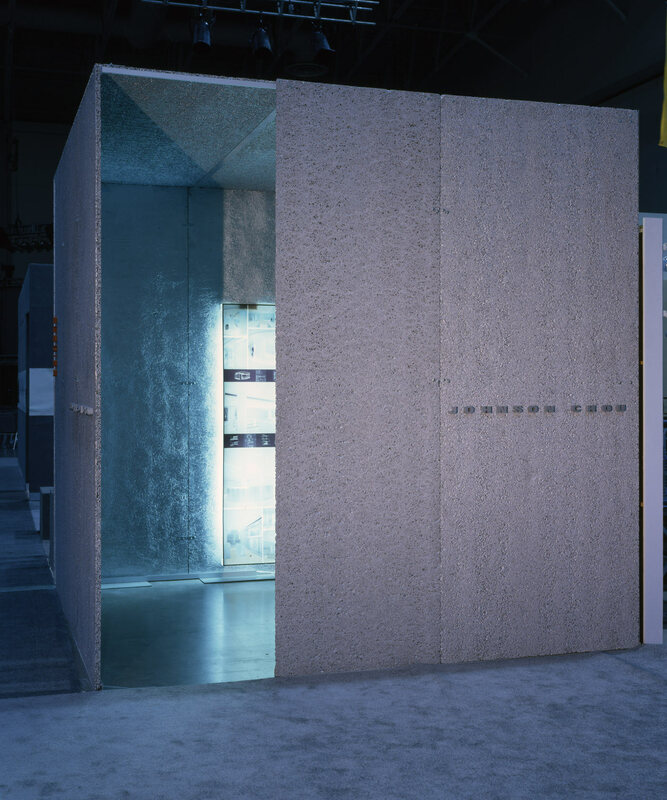 The booth features the extensive use of a new product, foamed aluminum, used here for the first time as freestanding partitions. 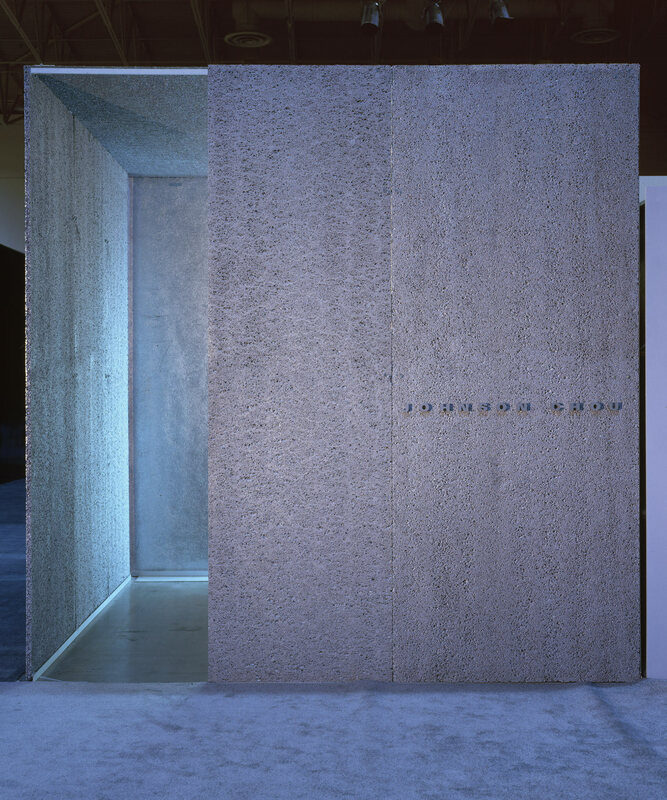 Manufactured by Alusion, a company based on Toronto Canada, the material is light in weight (15% aluminum, 85% air) and used here for the first time as a freestanding partition. 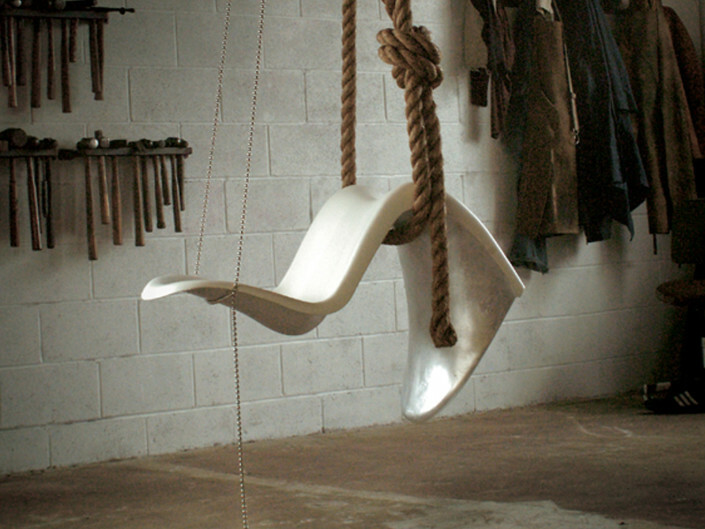 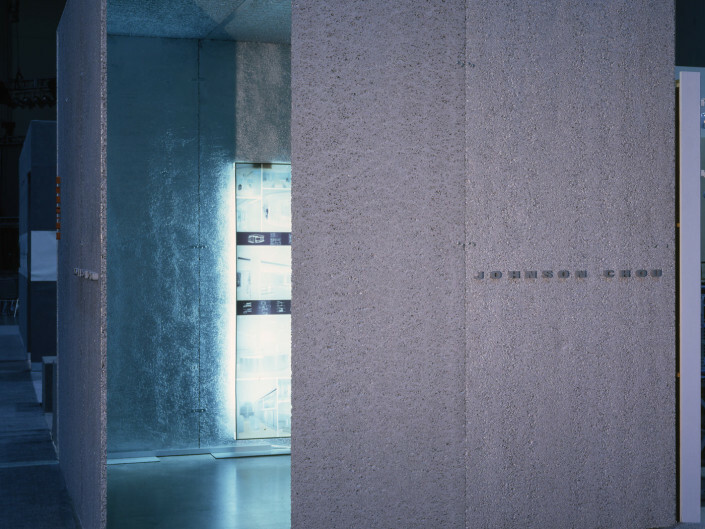 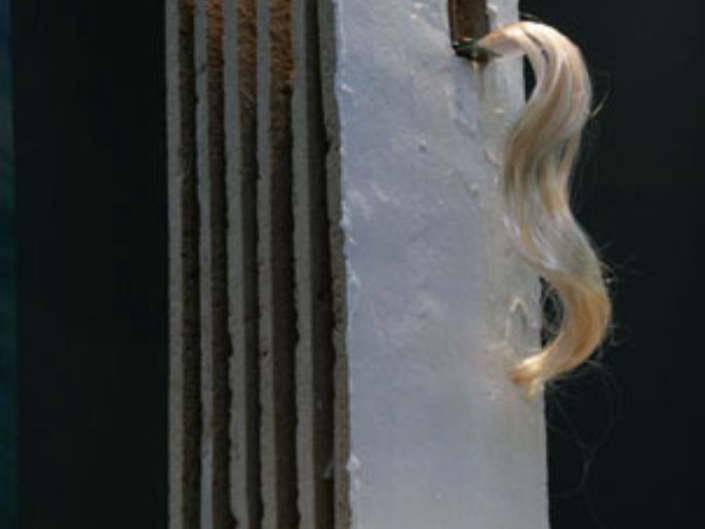 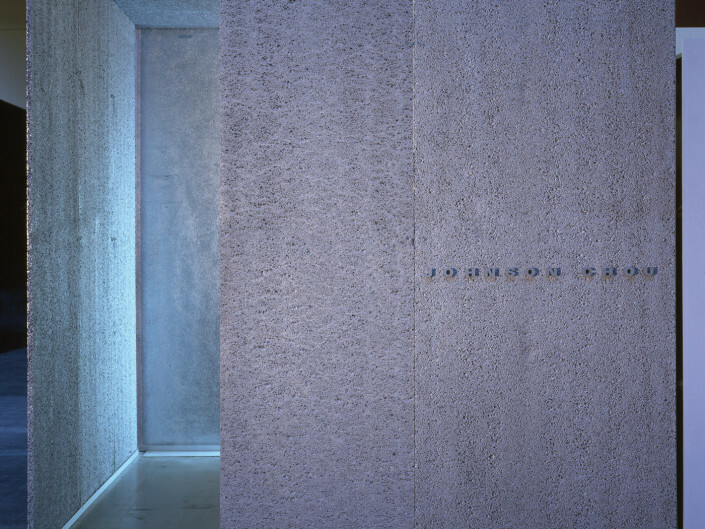 The porosity of the material creates a beautiful screen-like effect of compelling visual texture.